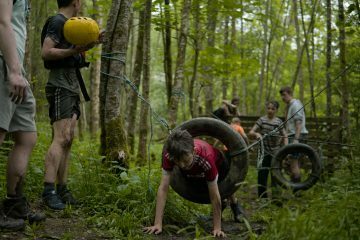 Castle Saunderson International Scout Centre opened its doors in August 2012. It is a 34-acre site, including camping grounds, forest and a state of the art Hostel and Conference Centre. Contained on the 34-acre site is the camping area that is capable of having over 1,000 campers on the site at any one time. The camping grounds are fully serviced with drinking water points and access roads for moving camping equipment. There is a toilet and shower block facility solely for the use of campers suitable for 1,000 people. The perimeter of the campsite is sheltered from the elements by forest and there are numerous places for campers to sit and socialise outdoors with an outstanding view down onto the campsites. There are charging points for devices on the front deck area of the building for campers. 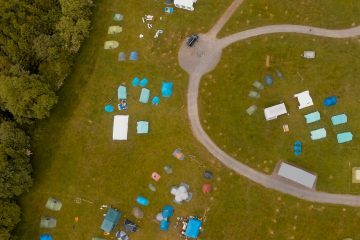 All of this is available for a camp fee of just €7 per person per night with discounted rates available for Scouts and Guides. We also offer indoor accommodation at Castle Saunderson. We have sleeping accommodation for up to 66 persons indoors, with bedrooms for 4 and 6 people upstairs, and an 18 bed dorm room downstairs. Indoor guests have full access to indoor toilet and shower facilities, an industrial kitchen, dining hall, and a common room. The Centre is surrounded by forests containing numerous walking trails including a historic trail around the Castle and Church. The site has access to both a river and a lake which are perfect for water activities. the outdoors using the scout method. 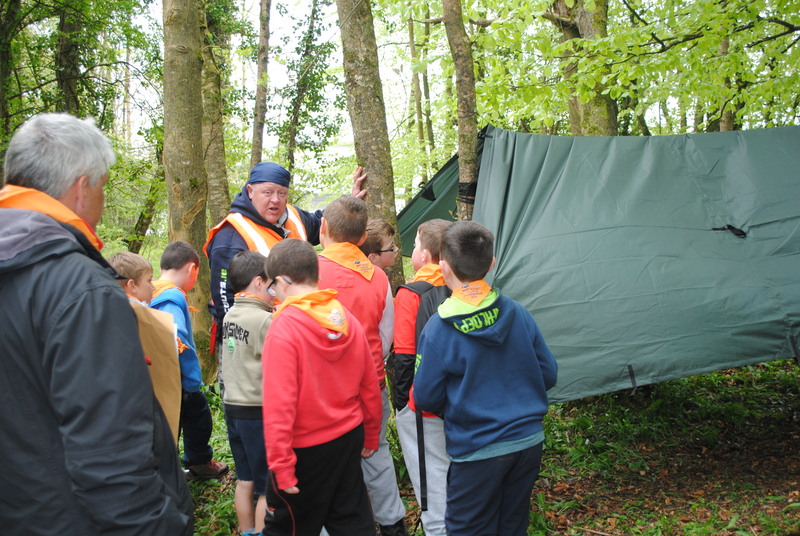 to experience scouting in the outdoors.